It’s unfortunate that a partisan group of Congressional representatives recently tried to turn back the clock on new rules from the U.S. Bureau of Land Management that can protect taxpayers and local communities from the needless waste of our natural gas resources and methane pollution. It was a disappointing move, considering that a bipartisan group of elected officials came together to defend the BLM’s natural gas waste rule during a budget fight on the House floor in July. Some members of Congress are really good at expressing their opinions. However, in this case the facts clearly show that efforts to cut waste and protect our air are necessary and warranted. Fact: Despite some creative data cherry-picking to spin a different story, the data is clear that methane emissions from oil and gas operations have grown significantly in the past decade (up 8% since 2005). Methane waste is a big problem. 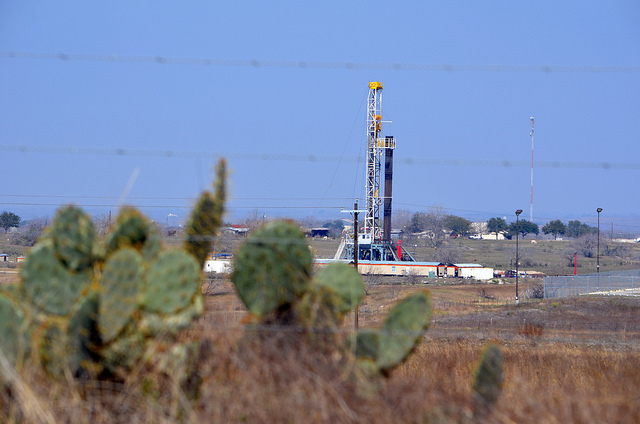 The business consulting firm ICF has estimated that $330 million per year in federal and tribal natural gas resources are wasted due to venting, flaring and leaks at well sites. And this means taxpayers are also losing out on tens of millions of dollars in annual tax and royalty payments that could be funding better roads, schools, and other needed infrastructure in impacted communities. This is a problem only getting worse and not solving itself. It is going to take tough but fair regulations – not inconsistent voluntary efforts from industry – to solve it. Fact: Nonpartisan observers agree this problem needs attention. A new report from the U.S. Government Accountability Office found that BLM should do more to protect taxpayers from unnecessary waste of their natural gas resources. The GAO finds that BLM needs more consistent policies in place to better limit methane waste and pollution from oil and gas production on the hundreds of thousands of acres of federal and tribal lands it oversees – the sort of requirements the BLM is in the process of finalizing. Fact: Support is strong for BLM action to cut methane waste and pollution across the West. More than 200,000 individuals and groups commented in support of the BLM proposal during the public comment period. At the BLM’s public hearings in Farmington, New Mexico, Oklahoma City, Lakewood, Colorado and Dickinson, North Dakota voices supporting strong BLM methane action far outweighed the opposition by a ratio of more than 3:1. More than 80 local officials across the West, including county commissions in La Plata, Park and San Miguel counties in Colorado and Rio Arriba and San Miguel counties and the Santa Fe city council in New Mexico, all supported the rules. Business groups, methane mitigation companies, Latino organizations, agricultural groups, sportsmen groups, public health experts, clean air advocacy organizations, and taxpayer organizations have all voiced support for BLM’s efforts to limit methane pollution and waste. This is consistent with recent polling that found bipartisan majorities (fully 80 percent) of Westerners support commonsense rules to cut oil and gas waste on BLM managed lands. In January, the BLM issued a strong proposed rule aimed at curbing natural gas waste and pollution on the nation’s federal and tribal lands. It’s now time for the BLM to strengthen and finalize this rule without delay to protect taxpayers, clean up our air, create jobs, and put American energy to good use. Trump wants to reduce waste and grow jobs? Good, these methane policies do just that.